Jackson Hole Classical Academy is extremely fortunate to have dedicated and talented teachers, and we are thrilled to be guided by the experience and insight of the Great Hearts leaders as we expand our teaching staff. Mrs. Kathleen Patrick’s years of teaching experience form the foundation for future success of students at Jackson Hole Classical Academy. With a background in classical education, Mrs. Patrick’s love for her young students is evident in every aspect of how she conducts her classroom. Born in New York, and most recently living and teaching in Texas, Mrs. Patrick and her husband are enjoying living in the Wyoming mountains. Outside of teaching, she finds joy in gardening, bird watching, and spending time with her grandchildren. Mrs. Patrick’s training in Spalding Method Phonics, experience with the Charlotte Mason approach to habit formation, and knowledge of the Grammar stage of classical education provide an optimal skill set to place our Kindergarten students on a path for success in the later years of our program. Born in New York, Mrs. Patrick’s family moved to California and later settled in the Wisconsin, where she spent most of her pre-university years. She is excited to leave the heat of Texas and is looking forward to exploring the great outdoors and making Jackson Hole her home, with her husband Robert. Mrs. Patrick enjoys reading, bird watching, and gardening and looks forward to hosting her four young grandchildren for a snowy Christmas. Mrs. Kimberly Nichols brings more than a decade of experience to JH Classical Academy, having taught K-8 students in public, private, and Christian school settings. Mrs. Nichols’ students find her energy and joy for learning contagious from the moment they enter her classroom. With her roots in Michigan, Mrs. Nichols has lived in eight different states and also has spent time living internationally in Asia. Her passion for helping students rise to their full potential is reflected in her involvement with Young Life, where she has served as a leader for multiple years. "What I love about JH Classical is that I can really teach, encourage, and inspire my students. The literature-rich curriculum enables me to go deeper and foster an environment of thoughtful inquiry and deep wonder." Mrs. Kimie Nichols brings more than a decade of experience to JH Classical Academy; she has taught K-8 students in Colorado, Texas, Wyoming, and South Korea at public, private, and Christian schools. 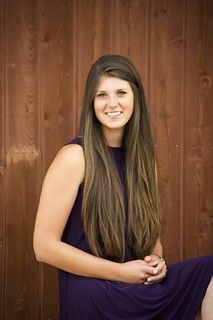 Her undergraduate degree in psychology and master’s degree in education from Regis University in Colorado give her insight into K-12 generalist and special education. Mrs. Nichols has a passion for helping students grow both inside and outside the classroom. For the past six years, she has been a leader with Young Life, a non-denominational Christian organization that reaches out children and teenagers by building meaningful mentoring relationships. Mrs. Nichols said that she has grown in understanding kids for who they are, and helping them to experience their full potential. A native to Montana, Miss Anna Dewald embraces her love for the outdoors and passion for teaching children at Jackson Hole Classical Academy. In the classroom, Miss Dewald’s calm presence and joyful nature provide students with a supportive and encouraging learning environment. A competitive collegiate volleyball player, Miss Dewald continues to coach and mentor in the Jackson community. Miss Dewald enjoys outdoor activities including hiking, backpacking, and fishing. Miss Katie Mix hails from West Virginia and joined the Jackson Hole Classical Academy faculty as the third grade teacher. She joyfully embraces the classical approach to teaching and believes that it is essential to instill virtues such as humility, perseverance, and compassion in children at a young age. Raised in a family of educators, Miss Mix attributes her love for teaching to her father, who has had an extensive career as a college professor. In addition to her previous teaching experience, Miss Mix has received professional training in Singapore Math and Spalding Phonics. Miss Mix’s participation in global Christian missions organizations provided her the opportunity to teach in Chile in recent years, and in Romania this past summer. She enjoys hiking, kayaking, paddle-boarding, and other outdoor activities. Miss Sarah McWhorter has over ten years of teaching experience. At the Academy she teaches in multiple disciplines including art, literature, and history for Lower School students. Drawing on her own K-12 classical education and the wisdom of her mother’s teaching experience of more than 30 years, she strives to engender in her students a deeper sense of wonder in each of those disciplines and to create a rich experience in the classroom. Originally from Dallas, Texas, Miss McWhorter spent the first part of her teaching career there. She enjoys gardening, hiking, camping, and all that life in Jackson has to offer. Miss McWhorter has found inspiration and guidance in teaching through her mother, who has been a kindergarten teacher for twenty-five years. She will be coming to JHCA in June to share her years of wisdom and acquired expertise. In particular, she will help our faculty enhance the K-4th grade Nature Study program. Miss Sarah Rock, a founding teacher at JH Classical Academy, is passionate about sharing her love of the Classics with students. As part of her education at Sewanee: The University of the South, Miss Rock had the opportunity to travel to Turkey and Greece to study the history of those regions. She enjoys bringing that knowledge and experience to her students. Additionally, Miss Rock has received specialized training in TPR (Total Physical Response) Latin, which brings Latin alive for her students. When she is not in the classroom, Miss Rock enjoys singing, traveling, reading, hiking, and running. She not only instructs the vocabulary and grammar of Latin and the facts of ancient history, Miss Rock daily teaches immersive Latin classes JH Classical Academy, telling stories purely in the ancient language. Latin forms the roots of many modern languages, and Miss Rock believes that the foundation students at JH Classical Academy receive will prepare them well for either advanced Latin or modern languages in high school. Miss Rock enjoys teaching Latin at both the elementary and middle school levels. “Each age has its own strengths,” she says, “the younger students absorb vocabulary quickly, while older students understand grammar much more easily.” Miss Rock’s knowledge of classical stories and myth allow her to captivate the young students and give a context to the new language they are learning. Miss Rock’s favorite aspect of Roman culture is its self-control. “The Romans were incredibly disciplined.” She says. “One can see it not only in their buildings and laws, but the language of Latin itself. It is very logical, and follows rules. The Roman Republic embodied the kind of discipline that sets one up for success.” She adds that Romans were not only disciplined, but adaptable, expanding their empire and incorporating the disparate elements, reflecting the way Latin adapted over two millennia as the language of poetry, politics, law, medicine, science, and theology for many cultures and countries. Miss Rock majored in Classical Studies at Sewanee: The University of the South. She has three younger brothers, one of whom has graduated from the Naval Academy, and one who is currently a cadet. In her spare time, she climbs the Tetons, runs marathons, reads the classics, and bakes. Miss Rock’s steady and joyful presence is palpable around the school, as she embodies the character lessons of the ancient philosophers that she teaches. An Ohio native, Dr. David Wagner’s extensive experience includes teaching a variety of French language courses and English literature courses for six years at the university level. He also taught high school English near Bordeaux, France. Dr. Wagner’s inspiration for teaching and love for learning come from his parents, both of whom were educators. At JH Classical Academy, Dr. Wagner’s knowledge and gift for teaching are put to good use in many areas. In recent summers, Dr. Wagner has managed programming for a Boy Scout camp near Cody, Wyoming. Outside of the classroom, Dr. Wagner enjoys hiking, travel and is active in his church as music director and organist. “At JH Classical Academy, I have the opportunity to share my love of both literature and mathematics with my students. Each discipline gives us a unique ability to understand God, man, and creation, and it is a privilege to bring both subjects to life for middle- and high-school students. It thrills me to teach this range of ages, because I get to watch students deepen their critical thinking skills in exciting ways as they mature." Early on, Dr. Wagner developed a special interest in math and French literature. He earned his bachelor’s degree from Hillsdale College, double majoring in the two subjects dearest to his heart. After graduation, he taught English to French students at Langon High School in France for a year before continuing his studies in French. Dr. Wagner then went on to earn his doctorate at Indiana University in French Literature. Though born and raised in Ohio, Dr. Wagner knows Wyoming well. His love for the state developed over his seven summers working at Camp Buffalo Bill. He first worked as Nature Director and then as Program Director for this Boy Scout camp outside Cody. Over the summers, he has explored much of Yellowstone and visited every county in Wyoming. At camp, his duties included teaching nature studies, planning events for the Scouts, and supervising and hiring camp staff. He leapt at the chance to return to Wyoming more permanently. Given his love for the Wyoming wilderness, Dr. Wagner has not lost time enjoying Teton County. He enjoys hiking in the summer and snowshoeing in the winter. When the weather gets too treacherous to go outside, Dr. Wagner delights his friends with creating delicious pies, cookies, and cheesecakes of all kinds. Dr. Wagner has integrated further into the Jackson community through his skills as a pianist and organist. He has accompanied for numerous student recitals and performances in and outside of the school, including JHCA’s Christmas Concert. Mr. Ian Landis, a founding teacher at JH Classical Academy, enjoys teaching science and mathematics at multiple grade levels. Drawn to Wyoming to be near extended family, Mr. Landis has previously taught in Arizona as well as South Dakota. Mr. Landis’s logical approach to his teaching disciplines makes him a model of excellence in the classroom for his students. Mr. Landis enjoys riding his motorcycle, studying his Bible, and exploring the beauty of Wyoming with his wife and young son. “I love seeing students mature in their learning, whether it be coming to love mathematics or science, or just deepening their understanding of the world around them. To love to learn is one of our highest aims, and to be able to guide students to this love through proper training and habit formation has been a blessing. I love coming to work everyday, connecting with families in our community, and pointing students to what is true, good, and beautiful. After earning his B.A. in education at Pennsylvania State University, Mr. Landis immediately began teaching mathematics. He taught at Mifflinburg Elementary in central Pennsylvania, at the Pierre Indian Learning Center in South Dakota, and at Superstition Mountain Middle School in Arizona. Mr. Landis says teaching on the reservation was an excellent learning experience. “The school had really tough kids from broken homes, but it was wonderful to be an influence for good in their lives,” he says. Likewise the school in Arizona was an impoverished Title 1 school in a challenging environment. Mr. Landis says that these teaching experiences taught him how to relate to students from all backgrounds and ability levels. He brings this range of experiences to bear when evaluating, tutoring, and creating placement tests. As a child, Mr. Landis loved the outdoors, exploring the woods of his native PA. He played tennis in high school, as well as soccer and basketball. Moving to Jackson provided him the opportunity to experience the grandeur of nature in an amazing way. He incorporates local nature into his science classes as much as possible. Last year, Mr. Landis brought a beekeeper to speak to the 6th grade, and he led an outdoors nature observation field trip. Mr. Benjamin Walter, a native of Pennsylvania, has been teaching at JH Classical Academy for four years. Mr. Walter strives to develop virtue in young men and women he teaches. As the oldest of six children who were classically homeschooled, Mr. Walter developed a deep love for art, ancient languages, and English literature. His approach to teaching in the classroom is inspired by his father, who has helped found and lead two classical schools. With a wide range of interests that include hiking, skiing, and landscape painting, Mr. Walter feels very much at home in Wyoming. "I love having the opportunity to pursue truth, goodness, and beauty by being both a student and teacher of my disciplines. Seeing students challenged and transformed by books, art, or language is the most rewarding aspect of working at JH Classica Academy." "I knew I would enjoy skiing and hiking in Wyoming, getting close to nature and the beauty of God’s creation,” said Mr. Benjamin Walter. “I immediately came to love the mountains and outdoor culture here. It’s a far cry from Main Line Philadelphia where I grew up." Mr. Walter received his Master’s degree from Oxford University. His studies began at Haverford College, where he received his Bachelor’s in Latin and Greek Language and Literature with a minor in political theory. Mr. Walter, like several other teachers at Jackson Hole Classical Academy, has close family members also dedicated to teaching. Mr. Walter shares his knowledge inside and outside of his own classroom. Just before the Christmas holiday, Mr. Walter visited the 4th grade class to join in their Wassailing songs and to recite the St. Crispin’s Day speech from Henry V for their medieval unit. Mr. Walter is also a talented artist with a particular interest in oil pastel landscapes. As his work was auctioned off at the Plein Air fundraiser for the National Museum of Wildlife Art this past spring, local artists remarked on Mr. Walter’s prowess and promise in a future of art as well as education. In addition to teaching, Mr. Walter is designing the scope and sequence for the Kindergarten through 12th Grade literature curriculum. As a part of Jackson Hole Classical Academy’s curriculum mapping team, he has revised the reading lists for each grade, created clear goals for writing and grammar, and laid the groundwork for the Humanities of the upcoming high school. Now in his second year of teaching at Jackson Hole Classical Academy, Mr. Benjamin Walter teaches the 8th Grade Latin and Literature and Composition Classes as well as 3rd Grade Latin. With a double degree in Greek and English literature, Mr. Teddy Sawyer brings a strong classical background and a passion for literature to Jackson Hole Classical Academy. Mr. Sawyer has fully embraced living in the Jackson area, where he enjoys running, climbing, and other outdoor activities. In the community, Mr. Sawyer plays oboe in the Jackson Hole Band and sings in the choir at the Episcopal Church. He also spends time reading and translating to expand his multi-language proficiency that includes Spanish, Old English, Latin, and Greek. "After recieving a copy of the Septuagint, the Greek translation of the Old Testament, I was thrilled to share this book with students and colleagues. Their excitement demonstrates a love of learning that our community seeks to cultivate." Mr. Teddy Sawyer’s legendary enthusiasm as a teacher makes the 1st conjugation exciting and the Latin case system memorable. Students continue conversations from his 5th grade history and literature at the lunch table and recess. The interest Mr. Sawyer creates comes from an ability to teach complex ideas and literature at an approachable level. He interrelates historical events or challenging vocabulary with other subjects and their own experiences. Mr. Sawyer also enjoyed Old English literature, especially Beowulf, in college. He explains, “Old English literature combines the paganism and Christianity while maintaining the tension between them. This sort of combination is difficult to grasp but important in our understanding not just of Beowulf, but of all great literature.” In a similar manner, the combination of Classical and Christian at JHCA preserves the best of ancient Greek and Roman wisdom within the context of Christianity. Before coming to Jackson Hole, Mr. Sawyer taught in St. Louis and Arizona. He finds great satisfaction at finally being able to teach at a Classical school with that cares deeply for each student and acknowledges that each child is created in the image of God. Born and raised in the Kansas City area, Miss Molly Porter is a third-generation educator. 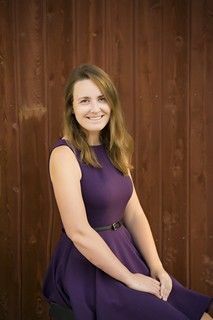 Miss Porter graduated from the Glynn Family Honors Program at the University of Notre Dame, and she has particular interests in English and Russian literature, history, and music. Miss Porter is excited to share her love of history and literature with students at Jackson Hole Classical Academy. Miss Porter enjoys hiking, reading, singing, and recently performed in the Grand Teton Music Festival’s production of West Side Story. Miss Porter’s class immerses students in the lore of the book. The stories come alive as they each assume an Arthurian identity, and then act out particularly vivid scenes. At the same time, in history class, the 4thgraders learn about the code of chivalry that existed during feudal times. Miss Porter incorporates the arts as well, playing Wagner’s Tristan and Isolde and Parsifal, operas based on Arthurian legend. A scholar at the Program of Liberal Studies of the University of Notre Dame, focusing her study on Russian literature and language, Miss Porter exudes enthusiasm and scholarship when talking about Tolstoy, Dostoevsky, or Russian opera. Miss Porter also assiduously reads English language modernists such as Ford Maddox Ford, Virginia Wolfe, and Ian Forster. Poetry, also, is a great passion of hers. She appreciates how poetry is taught at JHCA and how it trains students to articulate the beautiful. Miss Porter brought her love of singing to Cathedral Voices and the JH Chamber Choir this past fall and she looks forward to singing in her Church choir. Hiking is her favorite outdoor activity in Jackson hole, and she went horseback riding for the first time at our faculty retreat in Cody. Miss Porter has two older sisters and one younger brother. She loves to bake scones, especially cheddar onion. A Midwest native and cofounder of a classical Christian school in the Detroit area, Mrs. Rachel Greb brings her experience and love for teaching to JH Classical Academy. Mrs. Greb’s commitment to the ideals of the true, the good, and the beautiful inform her vision for excellence in the classroom as well as in leading professional development for educators. An avid reader, Mrs. Greb’s particular interests in literature are the exploration of human nature through story, and man’s relationship with his Creator. Mrs. Greb and her husband have five children, and in her spare time she enjoys reading, gardening, baking, walking, and playing the piano. Relocating to the Jackson Hole area from Pennsylvania, Mrs. Christa Carson joins Jackson Hole Classical Academy to teach math and science. Having previously taught physics and chemistry to high school students, as well as summer courses with Johns Hopkins University Center for Talented Youth, Mrs. Carson embraces science and math as sources for inspiring wonder in students. Mrs. Carson and her husband, Thomas Carson, an engineer with the National Parks Service, share a love for the outdoors. Born and educated as a child in Albania, Ms. Manjola Koci moved to the United States in 1995. Ms. Koci’s rich experience in teaching previous to JH Classical Academy includes over a decade of music instruction. She also worked as a Music Curriculum Advisor for a large charter school network in Arizona. In her free time, Ms. Koci enjoys reading, attending the Grant Teton Music Festival, and traveling. Ms. Manjola Koci grew up in Communist Albania and moved to the United States when she was sixteen. She then studied music at the undergraduate and graduate level. Now a beloved veteran teacher, Miss Koci is the Dean of Faculty at JHCA and teaches elementary music, as well as 8th Grade Medieval History. Thinking back on her own childhood, Ms. Koci credits her passion for Classical Education to her parents, who were both doctors and had a large collection of books. They encouraged her to play music and read books. Now that she has the opportunity, Miss Koci fully pursues this love of the liberal arts. She says, “I am thirsty to read. I’m a life-long learner. There is an infinite amount to learn from Western culture.” Currently Ms. Koci is reading a history of the First Crusade, American Gods, by Neil Gaiman, and the play Fences by August Wilson. She reads a wide variety of history and fiction to feed her perpetual desire to grow in new disciplines and ways. Ms. Koci holds a Bachelor of Music in Music Education from Anna Maria College in Massachusetts and a graduate degree in Musicology from the New England Conservatory of Music. She joined JHCA after teaching music for nine years at Great Hearts Academies in Phoenix, Arizona. In addition, she served as a Music Curriculum Advisor for Great Hearts Academies. Music is more than just an academic discipline for Miss Koci; it is a way of understanding human emotion and the world around her. She sees music as philosophy expressed through an ethereal and beautiful medium. Miss Koci’s favorite composer is Beethoven. “Beethoven took music to an absolutely new level,” she says. “He broke the rules in order to free music from the constraints of his time and truly connected music and philosophy. Listen to his Concerto in E-flat major No. 5 and you will understand why Beethoven is so great!” Ms. Koci’s music interests also include Renaissance madrigals, Baroque violin concertos, Classical piano concertos, and Romantic lieder. Besides teaching, Ms. Koci enjoys the meaningful interactions throughout the day with the student and faculty members. She especially enjoys lunch conversations with students, saying, “It’s nice to hear their perspectives on what’s happening in class and outside of school.” Similarly, she loves seeing the students’ happy faces at drop-off and their excitement upon seeing parents at pick-up. Miss Koci also appreciates the support and engagement that comes from the other faculty. Coach Samuel Lunz, is originally from San Marcos, Texas, where his father has been a headmaster of a private school for 40 years. His sixteen years of teaching experience have given him a deep love for the art of teaching. In particular, Coach Lunz is eager to see his students embody the same virtues on the field or court that are incorporated into every aspect of the classroom at JH Classical Academy. In the community, Coach Lunz serves as the head basketball coach of Jackson Hole High School. Coach Lunz and his wife have embraced life in Jackson Hole and are enjoying raising their family in this community. Coach Lunz says, “My dad is my biggest influence as far as teaching goes. I watched many of his former students come back and tell him how much of an influence he had on them. I got to see firsthand the long-term rewards of teaching.” The family dedication to teaching shines through in Coach Lunz’s enthusiasm with his students at JH Classical Academy. Coach Lunz moved to Jackson Hole this year from Buda, Texas, where he coached 6A high school—the highest level in the state. He’s been enthusiastically welcomed by both JH Classical Academy Coach as physical education teacher, and Jackson Hole High School, as the new high school basketball coach. When Coach Lunz heard about the positions open at Jackson Hole High School and JH Classical Academy, he and his wife made a decisive choice. “Moving from Texas was a real leap of faith,” he says, “but we definitely decided to move.” Not only was the location perfect, but his two roles as coach and teacher provide outlets for his many talents. Lunz has expressed enthusiasm to discover JH Classical Academy, saying, “The philosophy of classical education just makes sense. It’s wonderful to work at a school where tried-and-true methods that work are still being used.” He is excited to start the position of physical education instructor, teaching students the fundamentals of health and fitness, while making exercise engaging at all levels. Mrs. Birnie, an Atlanta, Georgia native, holds a Bachelor of Arts degree from Wheaton College in Massachusetts, where she double majored in studio art and art history. She has taught pre-school in Wilson as well as ski school at Jackson Hole Mountain Resort. She completed teacher certification for K-12 Art Instruction through Montana State University's Northern Plains program and earned her M.A. in Education, Curriculum and Instruction from Montana State University. Drawing and painting has been a part of Mrs. Elizabeth Birnie’s whole life. She remembers always having a sketchbook in hand while growing up in Atlanta, Georgia. Her family loved art, opera, classical music, and Western Arts and Culture. This upbringing, combined with her training in art, provide her a most suitable foundation to serve as a teacher at JHCA. After emphasizing art in high school, Mrs. Birnie earned her B.A. from Wheaton College in Massachusetts, where she double majored in studio art and art history. She completed teacher certification for K-12 Art Instruction through Montana State University's Northern Plains program and earned her M.A. in Education, Curriculum and Instruction from Montana State University. While in college, Mrs. Birnie studied abroad in Cortona, Italy. Here she was able to absorb the sculpture, architecture, and painting that floods the city. In her teaching, Mrs. Birnie weaves expertise in art and art history with personal experience and enthusiasm. When Mrs. Birnie moved to Jackson in 2009, she taught preschool in Wilson and worked as a ski instructor. She says that she especially enjoyed teaching children to learn how to ski. At this time she also took Outdoor Emergency Care Course and became a volunteer ski patrol member at Snow King. When not teaching, Mrs. Birnie enjoys living in a small town and being in the mountains. She spends much of her leisure time skiing and fishing with her husband Brendon. She also paints in watercolors, especially landscape and still life subjects. As one of the founding faculty members of JH Classical Academy, Mrs. Lisa Landis enjoys sharing her love of music with students at the Academy. Preceding this, as the Choir Director of Cactus Canyon Junior High School and Apache Junction High School, Mrs. Landis taught 7th through 12th Grade students both choir and piano. Prior to that, she taught pre-K through 6th Grade general music at Four Peaks Elementary School in Arizona. Mrs. Landis earned a Bachelor of Music degree, double majoring in Music Education and Piano Performance from Ithaca College of New York. Mr. Grupp shares his lifelong passion for playing and teaching chess at Jackson Hole Classical Academy. Learning to play chess at only four years old, he became the Southern California elementary state champion in 6th grade. Mr. Grupp began teaching chess privately in 8th grade. As a black belt in multiple martial arts, Mr. Grupp is assisting in instructing students in personal defense in the Practical Arts curriculum. Outside the classroom, Mr. Grupp trains in personal defense and enjoys being a solo world travel. "I am blessed to have the privilege to teach chess, one of my passions, to such a gifted and joyous group of students. I love having the ability to share a unique set of skills to the students of Jackson Hole Classical Academy; they are both eager to learn and rewarding to teach." He defeated the then-Montana state champion, and has beaten collegiate state champions in unofficial matches. Mr. Grupp is no stranger to teaching; as early as high school, he was earning money as a private chess coach. Mr. Grupp has worked for the past five years in systems software, IT, and finance at his family’s firm, Grupp Financial. He took up golf at age ten with the Nike Academy; today he has a single-digit handicap. He is also a martial arts enthusiast, having trained with a top Koden Kan trainer, and he has even participated in a seminar taught by Chuck Norris. Mr. Grupp says the most memorable game of chess he ever played was his 4th game in the elementary regional championship. He was in serious trouble, down a bishop and a couple of pawns. In order to win the championship, he needed to win this game. He began playing quickly and flustered his opponent. In a short time he was able to force a checkmate with his knight. However, he says the tactically best game of chess he ever played was when he was eighteen years old, which he fondly remembers as the first time he beat his chess coach. When he later ran the moves in a computer, the results showed that it was close to a flawless game. In the New Year, Mr. Grupp plans to host a chess night for JH Classical Academy students. Come by to say hello and learn the game of chess, or acquire some advanced techniques from an expert!